We are pleased to partner with the Wildlife Disease Association to bring you two stellar events on April 23rd! The CSU Wildlife Disease Association and the CSU One Health Club will host a dinner and panel discussion on the “Economics of Wildlife Disease” onThursday, April 23 in the Diagnostic Medical Center Room 101 (300 West Drake Road, Building C). A catered dinner (with Beer from Black Bottle Brewery) will be available at 6:00PM. Cost of dinner will be $5 for CSU WDA or CSU OHC members and $10 for non-members. The panel discussion will begin at 6:30 PM and will be free of charge and open to the public. Dr. Jamison Pike, Senior Economist for the EcoHealth Alliance will be giving a lunch lecture, “Valuing a pandemic: Exploring trade-offs in rational risk reduction” in the Veterinary Teaching Hospital ACC 120 at 12PM on April 23rd. We will be joining AABP (American Association of Bovine Practitioners) members for an Outbreak Wetlab on Saturday, April 19th from 8am to about 1pm. Dr. Linda Detwiler will be flying in to share her wisdom of infectious diseases and the handling of outbreaks and managing of herd health. As the former Veterinarian in Charge for USDA, APHIS Veterinary Services and a current professor in the Department of Pathobiology and Population Medicine for the College of Veterinary Medicine, Mississippi State University Dr. Detwiler will walk us through an outbreak simulation of bovine TB and challenge YOU to contain the outbreak and manage the problem effectively. 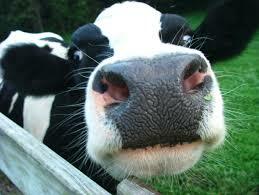 This lab also involves REAL LIVE COWS, so come ready to learn a lot and get dirty. We will be meeting on Saturday morning, April 19th at 8am at the DMC to carpool to the dairy, about a half hour drive from Fort Collins. Breakfast burritos and warm drinks will be provided. Please bring your boots and coveralls. This event will be capped and a lottery will be held to determine participants. We will be having a dinner lecture and “Backyard Flock Talk” the evening of Thursday, April 17th starting at 5:30pm. Sarah Millonig, Dr. Kyran Cadmus, and Dr. Kristy Pabilonia will be sharing all of their wisdom and knowledge about poultry health and husbandry as well as the one health implications of the increasing number of backyard flocks. Whether you own your own chickens, have neighbors that do, or are wondering which came first…the chicken or the egg, this is the event for you! In all seriousness, this is a stellar line-up of experts and they will be providing a lot of great information, so bring your questions! Sarah Millonig will talk about the Colorado Avian Disease Surveillance Program and the National Poultry Improvement Plan. Afterwards, Dr. Cadmus will discuss some current ongoing research as described below…. Salmonella outbreaks traced to contact with baby poultry purchased at agricultural feed stores or directly from mail-order hatcheries occur yearly in the United States. This study assessed prevalence of Salmonella in young poultry enclosures at feed stores in Colorado. Surveys characterized chick sourcing information, housing and cleaning habits, and whether stores displayed Salmonella educational information to customers. Over half (63%) of stores had one or more Salmonella positive samples. Thirteen serotypes were detected. Serotype Typhimurium (14%) was most commonly isolated, followed by serotype Senftenberg (8%). Multiple serotypes were isolated from 23% of stores. Chicks were sourced from 10 different hatcheries, with 43% using more than one hatchery. Most (90%) stores cleaned cages at least every 3 days. Salmonella educational material was posted by 50% of stores. Salmonella is very common in feed store poultry and store practices may contribute to dissemination to poultry cage surfaces. While recent outbreaks and research projects conducted here at Colorado State University have demonstrated a high prevalence of Salmonella in baby poultry at hatcheries and feed stores, the persistence of Salmonella in backyard poultry flocks and zoonotic transmission of the organism to flocks owners are poorly understood. 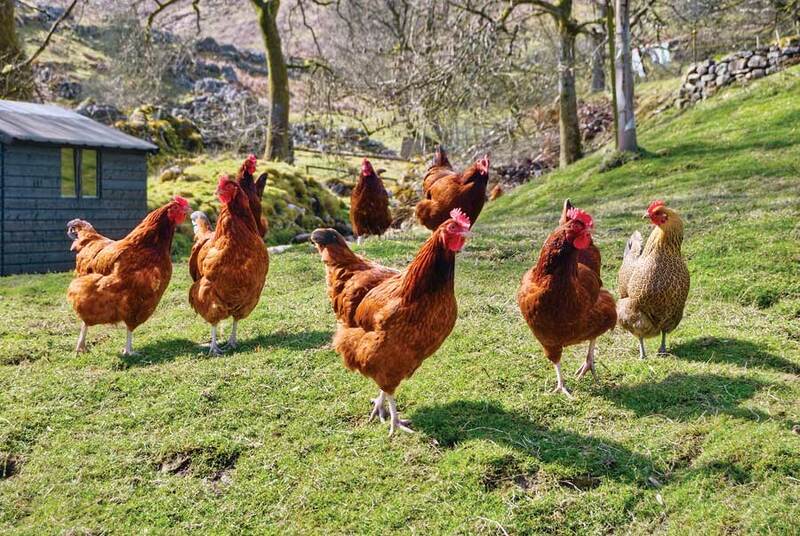 Small egg production flocks have varying biosecurity, flock health monitoring and disease prevention systems. As these types of flocks expand in numbers and geographical distribution, improved understanding of Salmonella prevalence and risk factors will assist with the design of prevention and control programs for this sector of the layer industry and will benefit the US commercial poultry industry as a whole. Focused Salmonella reduction interventions and educational programs for small producers could have significant impacts on public health and food safety. The goal of this project is to elucidate the prevalence of and risk factors for Salmonella enterica in the growing small egg production flock sector, including small-scale semi-commercial egg production flocks and backyard laying flocks, in order to appropriately target interventions and educational efforts in these populations to reduce the public health burden of Salmonella and further increase the food safety of eggs originating from these sources. Come join the One Health Club and the International Veterinary Students’ Association next Wednesday, February 12th as we welcome Dr. Rayon Gregory from Jamaica! Dr. Gregory is a veterinary epidemiologist with the Veterinary Services Division (VSD) of the Ministry of Agriculture and Fisheries, Jamaica WI. He completed his first degree in General Agriculture at the College of Agriculture Science and Education, Jamaica in 1999. He later completed his DVM at the Peoples Friendship University of Russia in 2006 and masters of veterinary studies degree in veterinary epidemiology at Massey University, New Zealand in 2010. Dr. Gregory works in the Veterinary Epidemiology, Public Health and Food Safety unit and is in charge of enhancing Jamaica’s animal health surveillance system. He is currently working on updating the national surveillance strategy to bring it in line with international standards. He is spending 6 weeks in the US working with Colorado State University’s Animal Population Health Institute (APHI) and collaborating with the USDA’s Center for Epidemiology and Animal Health (CEAH). We will be serving dinner to members at 5:30. 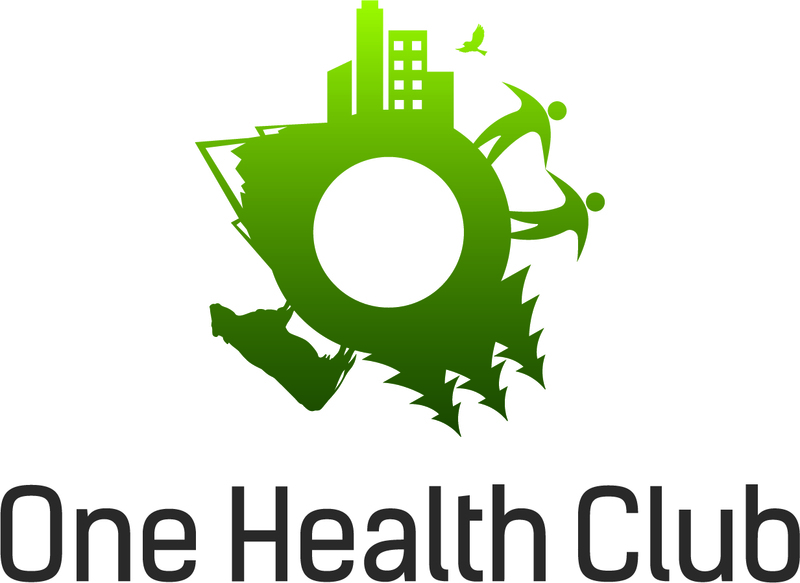 If you are not yet a member but are interested in joining, please e-mail us at onehealthclub@gmail.com! Join us for dinner on Monday, October 7th as we hear from Dr. Gladys Kalema-Zikusoka, one of the leading conservationists and scientists working to save the critically endangered mountain gorillas of East Africa! You can read more about this exciting speaker at http://exploregreen.com/gkalema.html. The meeting will be held Oct. 7th, Monday, 6pm in Behavioral Science Room 131 on CSU campus. Don’t miss out on this exciting opportunity to attend the International Colloquium on Global One Health at Colorado State University! Sessions will be held October 1-3, 2013 in Lory Student Center and are open and free to the public! 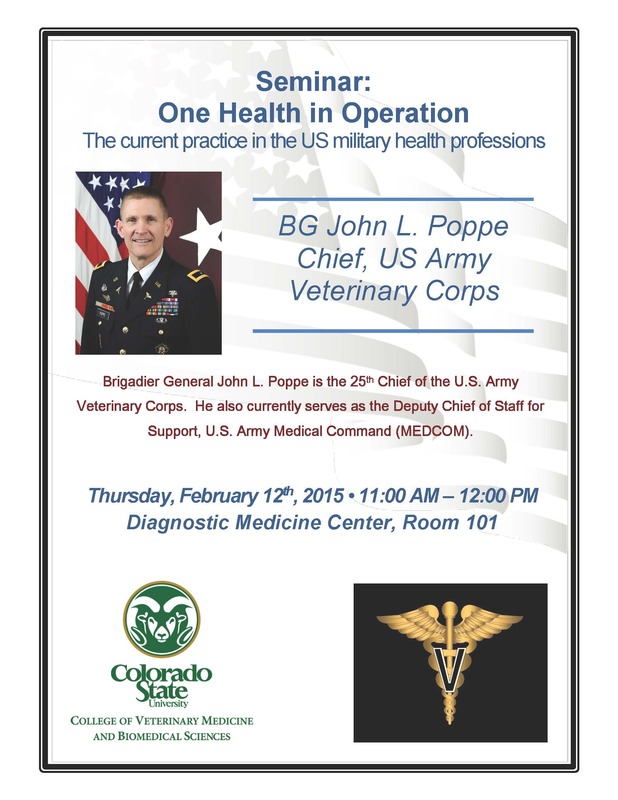 Hosted by the Office of International Programs, the College of Veterinary Medicine and Biomedical Sciences, and the Vice President for Research at CSU, the Colloquium will provide students, faculty, staff and the public with the opportunity to learn more about Global One Health and the important issues surrounding the interconnectivity of human, animal and environmental health. Topics ranging from depleting resources and emerging health threats, to finding solutions and optimizing health. Please join us as we host Dr. Philip Tedeschi, the Executive Director of the Institute for Human-Animal Connection, for lunch on Thursday, October 3rd at 12pm! Stay tuned for more information on how to RSVP, and read on to learn more! “Clinical Professor Philip Tedeschi is the Executive Director of the Institute for Human-Animal Connection at the University of Denver within the Graduate School of Social Work. He has been with the University of Denver for 19 years and is the founder of the Animal Assisted Social Work Program. He is recognized for expertise in the clinical methods for Animal Assisted Interventions and coordinates the school’s Animal-Assisted Social Work Certificate program for Master of Social Work (MSW) students, as well as the Animals and Human Health online professional development certificate program. He received his MSSW degree for the University of Wisconsin-Madison, where his specialization was the therapeutic connection between people and animals. He teaches MSW courses in forensic social work, human-animal interaction and animal welfare, conservation social work, human ecology and international social work in areas such as East Africa. 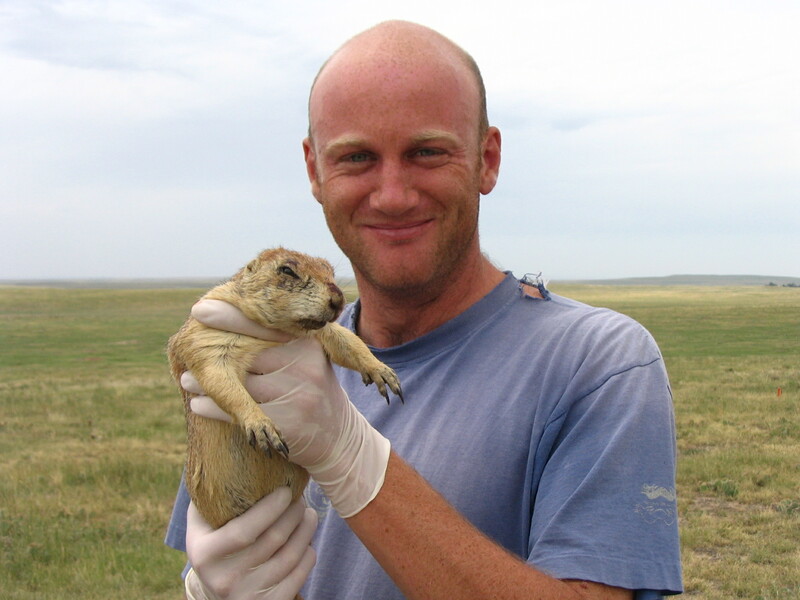 Join One Health Club for the first Dinner Seminar of the year as we host Dr. Dan Salkeld, who will be speaking about the interactions between biodiversity and emerging infectious diseases using case studies including prairie dogs and plague and Lyme Disease and squirrels in California. Dr. Salkeld is a Research Scientist at Colorado State University and lectures on courses on ecology and public health. His principle research interest is in the community ecology of wildlife disease and the implications for conservation and public health. His PhD dissertation work at James Cook University examined the ecology of a host-parasite system involving lizards and blood parasites, as a model for understanding disease in wildlife systems in general. Since then he has worked as a postdoctoral researcher in partnership between IUCN – The World Conservation Union and several universities. Currently he is working upon the impacts of landuse change upon the ecology and emergence of infectious diseases. You may read more about the scope of Dr. Salkeld’s work here. All are encouraged to attend though dinner will be provided to dues-paying One Health Club members only. RSVP here.